A search on the term 'rust' brings up a website that explains Rust is an Early Access survival game on Steam, created by Facepunch Studios. 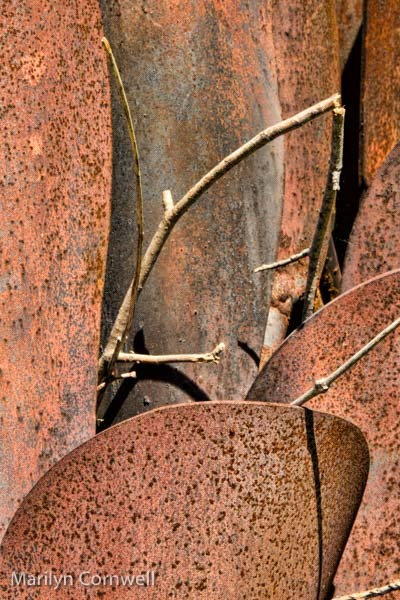 "The only aim of Rust is to survive. To do this you will need to overcome struggles such as hunger, third and cold. Build a fire. Build a shelter..."
It seems fitting to call a survival game Rust. 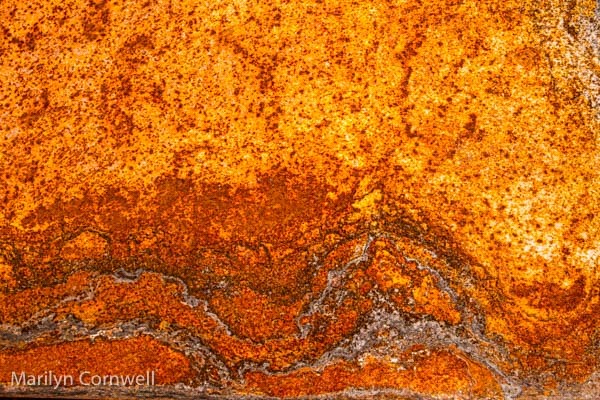 I stopped at Floyd Elzinga's studio last week and got some pictures of new rust on the metal sheets that were lying on the ground. He has a fire pit pinecone - that's the second photo of old rust. It shows the different patinas in new and old rust. Rust seems to always survive is one form or another.